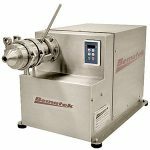 Valued as an industry innovator in homogenizing, emulsifying and dispersing, Bematek offers more than a half-century of experience in colloid mill design. 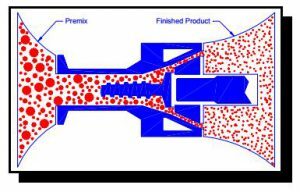 Bematek simplifies scale-up, and improves efficiencies by specializing in solids-in-liquid dispersions and liquid-in-liquid emulsions, as well as, deagglomerating, blending, and homogenizing. They demonstrate the ability to convert customer feedback and R&D results into innovative manufacturing solutions to meet the increasingly complex manufacturing demands of advanced industrial and consumer products. The milling of various materials is one of the oldest processing activities that still exists today in modern manufacturing environments. 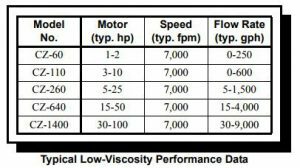 The reduction of particle size in dispersions (solid-in-liquid) or droplet size in emulsions (liquid-in-liquid) is done by applying hydraulic and mechanical shear to various process ingredients. Bematek dynamic colloid mills can be found wherever there is a need for particle size reduction, emulsifying, deagglomerating, and homogenizing and recognized as the equipment of choice for increasing the stability of suspensions or emulsions in today’s complex homogenizing processes. The Bematek CZ Sanitary and CK Industrial series colloid mills provide manufacturers with simple, repeatable processing capabilities, for fine-emulsion stability and dispersion uniformity. 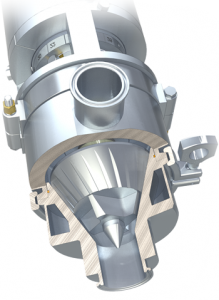 The Bematek advantage is simplicity, along with a proven milling chamber design. This colloid mill is the simplest on the market today and has established a strong presence in the industries served. Maintenance and process configuration of the mill chamber is easy with minimal parts to handle. Other mills are very complex and require the handling of many components to access internals or simply make gap settings. Additionally, Bematek proprietary rotor/stator profiles, designed for specific applications, deliver the confidence and a cost-effective means for finished-product control and stability.